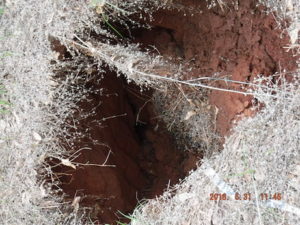 A sinkhole is a very common problem that occurs in Alabama, as well as many other states where erosion of the soil or ground occurs. It usually occurs where a large amount of easily soluble ground is present. Sinkholes will typically occur where limestone or other soluble terrain is within a few hundred feet of the surface. Parrot Structural Services can provide sinkhole remediation & repair to any structures that are affected. Our solutions are long lasting, fast, and affordable option for both residential and commercial applications. Your residential or commercial property can be returned to for immediate use after the job is completed.